Angela Martin competes with a heavy heart. A Chicago woman whose personal tragedies have derailed her "American Idol" dreams in the past is once again facing a major obstacle on her path to pop stardom. Angela Martin, 28, punched her golden ticket to Hollywood at the Chicago auditions for the show, but she heads to the next round without a major part of her support team -- her mother, who went missing the day after Christmas. According to People magazine, Glenwood, IL police found Viola Brown Martin's car abandoned in a south suburban forest preserve on New Year's Eve, but she hasn't been seen since. "We haven't stopped looking," Martin told People. "We've been out in the cold, and before I left to go to Hollywood, we were looking." In 2007, Martin made it to Hollywood, but was cut in the second round soon after learning that her father was murdered. 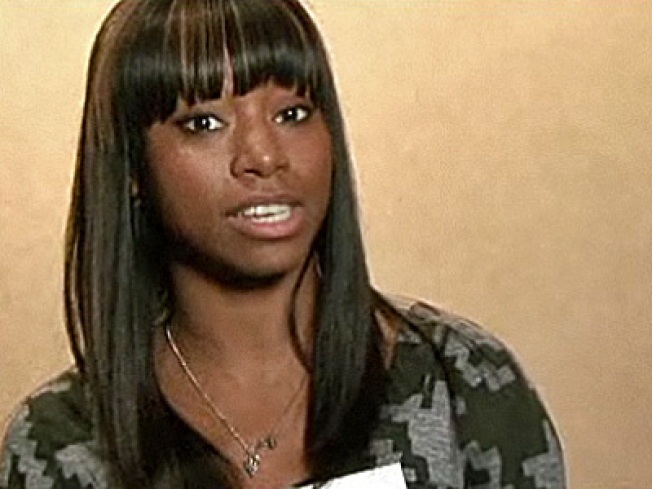 In 2008, she made it to the top 50 but had to leave the competition to handle a legal matter back home. Martin seems to believe her mother is alive, because she told the magazine that "When people see her, they just need to say, 'You need to call your kids.'" Martin also has a 10-year-old daughter who suffers from Rett Syndrome, a developmental disorder.